New Scarves at the Woodbury Shop! Want to stay fashionable during the colder months? We’ve got you covered! Our Woodbury shop has many beautiful scarves in stock which are sure to compliment any style. 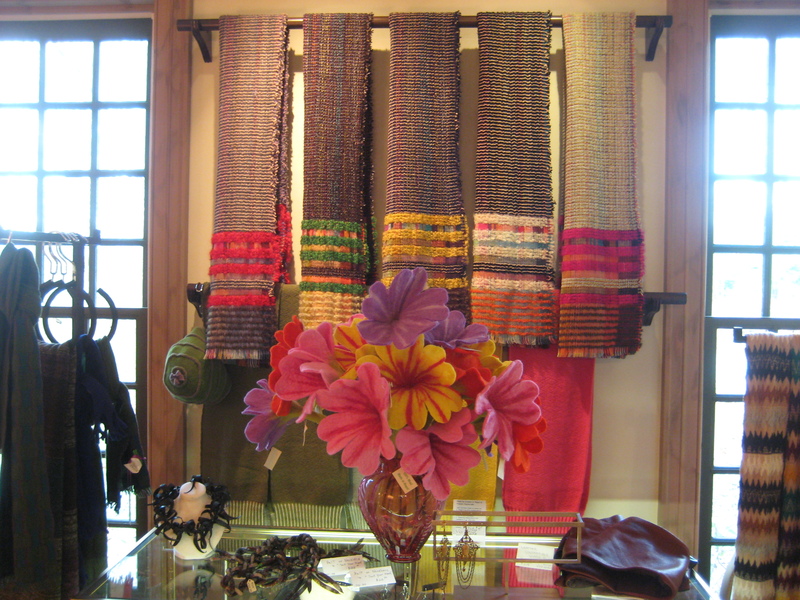 Stop by to add a some extra flair to your winter wardrobe, or someone one else’s– these scarves make fabulous gifts! 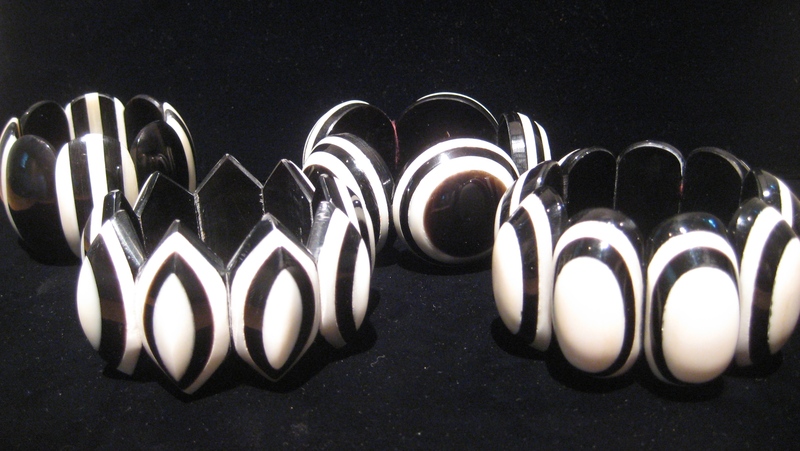 Just In– Horn and Bone Bracelets! Our horn and bone bracelets in four different styles! As promised, here is part one of our new items update! Our horn and bone bracelets are effortlessly chic in bold graphic black and white prints, and look especially stunning when worn as a pair. They come in four different styles, and range from $49-$60 each. But be sure to order soon, as they are in limited supply! Continuing our launch of fabulous new items this week are our resin necklaces! They’re classic, colorful AND affordable! 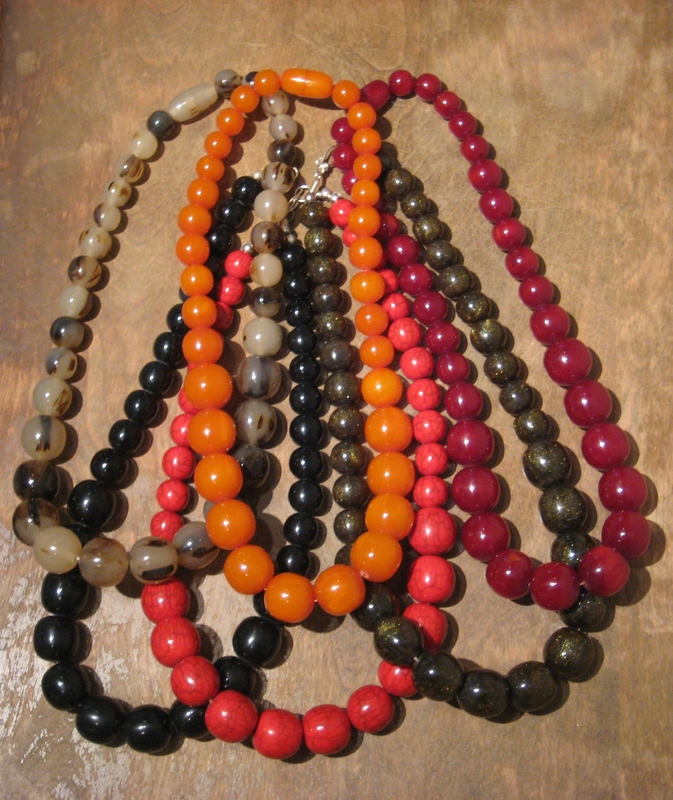 Available in a wide variety of colors, these necklaces are sure to provide the finishing touch to any outfit. And at only $69 each, they’re a steal for even the most frugal fashionista. The JoannaJohn Collection will be on NBC! © Joann Narkis, The joannajohn Collection and Wearable Art, 2011. Excerpts and links may be used, provided that full and clear credit is given to Joann Narkis, The joannajohn Collection and Wearable Art with appropriate and specific direction to the original content.